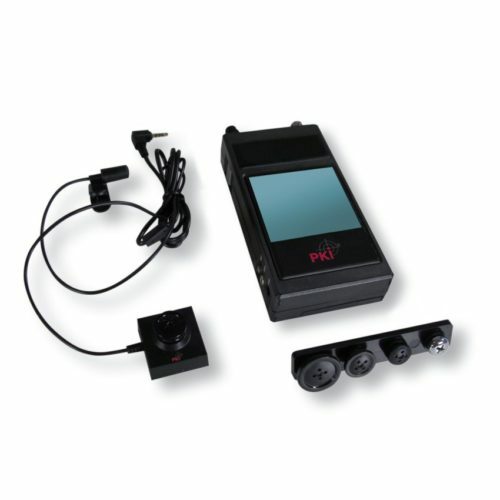 Our pinhole camera PKI 5730 is the solution for covert video observations. Smallest dimensions of the camera module allow best camouflaging. Whether a button or a bolt head, the required adapters are included in the scope of supply. The light-sensitive camera still provides good images even at bad lighting conditions and is equipped with automatic white balance. A 90 degree viewing angle and the separate wired microphone allow best perspectives with top audio quality. Weight: 23 g incl. connection cable and microphone. Also available as wireless version.